In the spirit of The Soul Searchers Handbook, this guide offers a fresh approach to healing crystals with advice for selecting, preparing, and using crystals for meditation and energy healing. If you’re feeling worn out, uninspired, and unmotivated, you can change your energy with the help of crystals. Crystal Bliss provides you with everything you need to harness the innate energy and vibrations of crystals. This guide walks you through the process of selecting crystals, cleansing and preparing them for use, and incorporating them into your meditation and energy healing process. With the help of Crystal Bliss, you can learn how to boost your own energy, beat back negative vibes, open your heart to love, manifest wealth, and promote good health. "We love the idea of having crystals, but we don’t exactly know where to start. Thankfully, Crystal Bliss has our back. It’ll teach you how to select, prepare, and use crystals for meditation and energy healing. Bad vibes, be gone! You’ll be a crystal person’ in no time." "Feeling stressed? Uninspired? Confused? 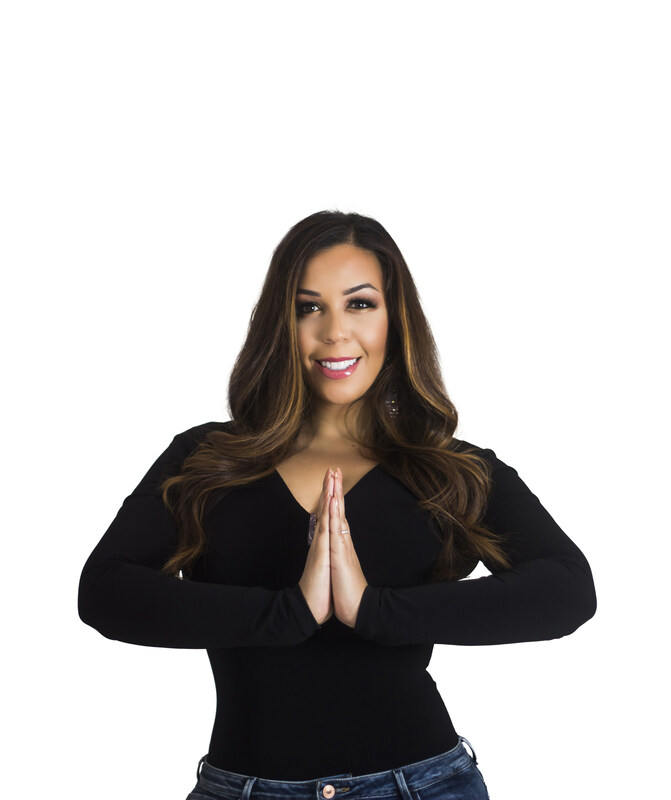 Meditation Guide and Speaker Devi Brown created Karma Bliss as a way to help herself and others understand crystals for meditation and energy healing. This book has a one-stop-shop approach as each page eases you into everything you need to know about selecting your crystals and using them." "Exactly what I needed in preparation to make some major lifestyle changes. Devi Brown's words and guidance in Crystal Bliss truly resonated with me, inspiring me to find clarity and healing through what I was experiencing." "Devi Brown … brings her positive and vibrant energy to parlay an intense interest in crystals into a new book … Crystal Bliss. Devi guides readers through an easily accessible approach to the world and energy of crystals." "Brown … breaks down which crystals are right for you, the importance of wellness, and why you should even be interested in crystals in the first place … acting as a modern take on any decade-old crystal encyclopedia. While reading Crystal Bliss, I learned new ways to tap into my passions and encourage more self-love in day to day activities. Crystal Bliss allowed me to discover new things about my own spiritual path. It’s a fun book to read over and over since each tip, mantra and crystal will tap your spirit at different times." "The responsibility and pressure of being a mom is overwhelming, so equip her with the right tools to get her brujita on at those times where she needs to find inner peace and inspiration to keep going." "Any zen goddess will appreciate this guide to using crystals for healing and meditation." "Go-to guide for mediation, crystals and other elements dedicated to your chakras." 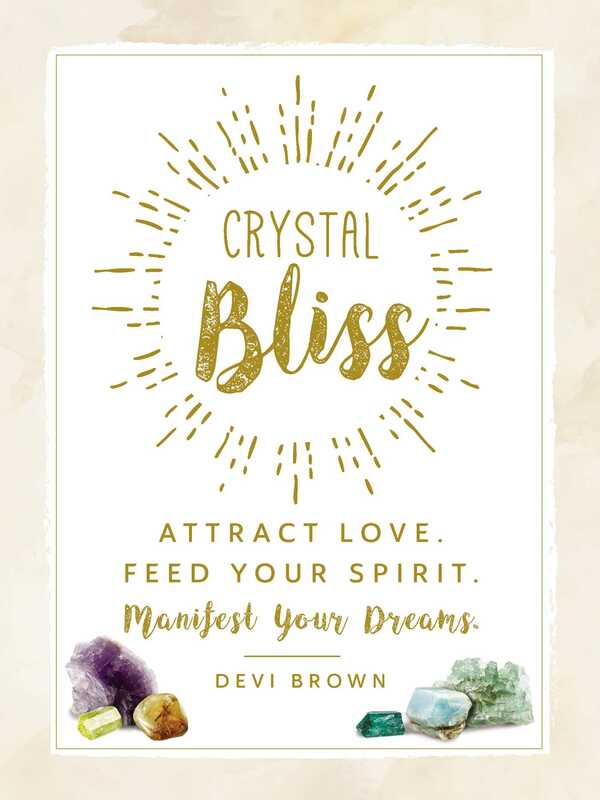 "Those feeling a lack of inspiration and motivation would do well to pick up Crystal Bliss by Devi Brown. In this guide, Brown explores the use of crystals for energy healing and meditation, and includes advice on how to choose, prepare and incorporate crystals into a self-care practice; readers will learn tips for boosting energy, overcoming negativity and promoting overall well-being." "Think of this book as your very own personalized crystal handbook. It’s full of advice on how the entire process of selecting a crystal and the author also provides specific details and guidance for utilizing your new crystals with meditation in order to revamp energy, push away negative vibes, and open up the heart and soul."